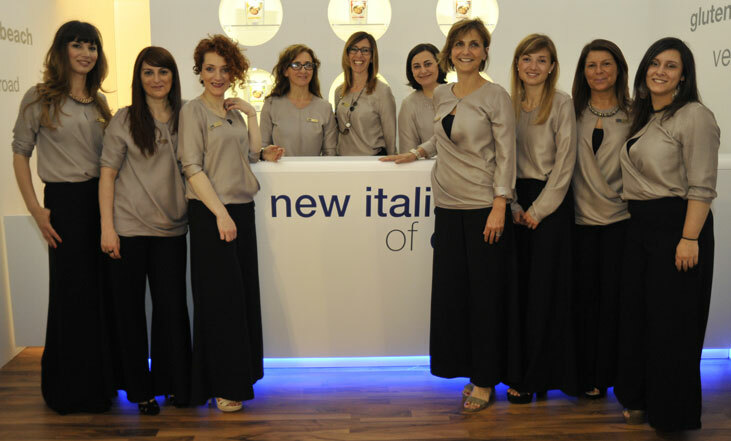 Storci and its partner, Fava S.p.A, reap the rewards at the Ipack Ima 2015 trade fair. The flow of visitors from all over the world was truly intense, with huge interest shown for all our products; for both dry and fresh pasta, couscous, ready meals and above all for instant pasta (more info: www.instantpasta.info) and gluten-free tortellini. 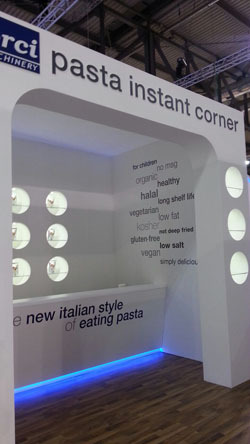 In fact this year's latest innovation, instant pasta, was the cause for much surprise and attention. A great many samples were handed out, in the various available flavours, and Storci's staff noted, to their great satisfaction, that the product went down really well, so much so that many people asked for seconds! Gluten-free tortellini were just as popular: the number of samples distributed exceeded all expectations and visitors enjoyed them, expressing their surprise at once by first of all asking if they really were gluten-free because they tasted so good. See you again at Ipack Ima 2018.